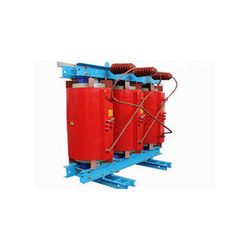 Our range of products include dry type cast resin transformer, current transformer, potential transformer and voltage transformer. We are the perfect destination for the best quality Resin Cast Transformer in the market. 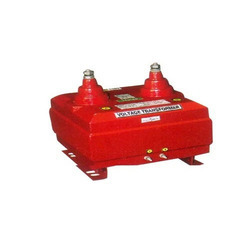 These Resin Cast Transformers are made of resin cast substances that are fire and humidity resistant and non -polluting in nature. Our Polyester Resin Cast Transformer can endure higher impulse voltage and temperature making it more reliable than the usual power transformers. They are suitable for installation on high- rise building where fire safety is a concern. Other specifications available as per the requirement of the clients. 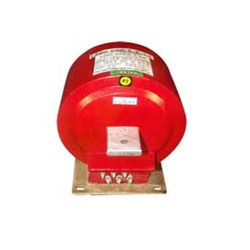 We are acknowledged as one of the prominent Current Transformer Manufacturers in the country. Our range of High Voltage Current Transformer includes both HT Current Transformer and LT Current Distribution Transformer. A Current Transformer is a type of Instrument Transformer that is designed to provide a current in its secondary form which is accurately proportional to the current flowing in its primary. · Primary Current : Primary current is the load of the current transformer, is the measured current. · VA Burden : Is expressed in Volt-Ampere (VA) the product of the voltage applied to a circuit and the current. We are specialized in the production and exporting of heavy duty Potential Transformer in the national as well as international markets. Potential Transformers are also known as Voltage transformers. The primary winding of the AC Potential Transformer is connected in the parallel with a circuit where the voltage of the system is to be measured or controlled. Our potential transformers are available with rugged construction that enables them for heavy duty performance. Further, we are reckoned as one of the ace Ac Potential Transformer Exporters from India. We offer finest quality voltage transformers. 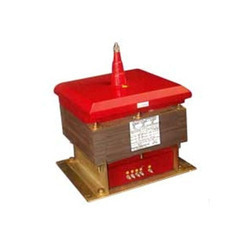 Voltage Transformer is generally used in an electronic circuit that requires constant voltage/current or VA Rating. Our Industrial Voltage Transformer is designed for industrial applications where electromagnetic devices such as relays & solenoids are used. This insulation is used to electrically insulate turn to turn windings, primary to secondary windings and ground. The transformer maximizes in rush capability and output voltage regulation when electromagnetic devices are initially energized. Voltage transformers are vacuum impregnated with one component solvent less UP impregnating resin for thermal class 200(H) and oven-cured, which seals the surface eliminates moisture.